my holiday at butlins minehead last weekend, was totally ruined by the attitude of customer care and management . they have blatant disregard for and contempt for their clients who are merely bringing a problem to their attention, they treat customers like liars, talk over them, talk at the same time as them, refuse to offer any solution, refuse to give addresses and CEO at head office..
Sir Billy would be most unhappy as the company was built on customer comfort and service and is being ruined by ruthless, jobsworth, bullies. On the plus side is good food and friendly catering staff who couldn't be more helpfull, if i was ceo they would be in charge of customer care and the management at customer care sacked. Hotel tip: If you encounter any problem and have reason to complain, be very aware that they may have a hostile approach to clients, be prepared to be browbeaten DONT take no for an answer as you have consumer rights it is most unlikely to have your complaint dealt with properly by management as they seem to all close ranks. You write to the CEO at Hemel Hempstead and give a reasonable timescale for resolution and state what you expect to be done to satisfy you. Having booked a bulletins break for June this year but coming to visit with a six month old and a 14 year old with severe learning disabilities and various other problems I telephoned the special needs requirement line and was told that even though my daughter has severe difficulties that we would have to pay more for accommodation nearer the complex which would charge us an additional £82. On top of this they also expect you to pay an additional £13.50 per person to be admitted earlier so that we won’t have to queue because of her disability best part about that is they also expect me to pay £13.50 for the baby as well. Returned after a number of years using hotels. The park is OKish but has a lot of negatives, I.E. grossly overcrowded to the point where entertainment is unavailable if you require a seat or even would like to see the entertainment. Intention was to see DIVERSITY and STEPHEN MULHERN. Impossible to even get in the premises. A QUEUE so long it was implausible to wait in line knowing the wait would be a waste of time. VERY DISAPPOINTED AND LET DOWN. Accommodation was insulting. Neglected and so basic. Refugees would have been insulted and bemused by the glowing attributes from the website. DISGUSTING AND EMBARRASSING PLACE. We booked a half board stay in silver room with 2 adults and 2 children and after staying here before on a sun holiday we booked a full price holiday and looked forward to a great week. The circus and the entertainment was fantastic and the weather meant we could enjoy all the outdoor activities. We were disappointed with the food court dining as the food being nothing special and poorly presented. The chair backs were sticky which caused concern with cleaning standards. There was a couple of children we noticed being sick throughout our stay (Butlins have hand sanitizers everywhere) and we thought nothing of concern and the procedures for cleaning this up very efficient (have you seen Monsters inc. when the sock gets stuck on the back of the scarer...). On our 4th day my daughter was sick in the night and didn't quite make it to the toilet which we cleaned it up using our own cleaning materials and she went back to bed. In the morning she wasn't great (probably lack of sleep) and we informed guest services of what happened so they could ensure room was cleaned properly when we left but were surprised to be told that we have to leave and they would refund the remainder of the holiday but they didn't have to. They quoted one of the terms and conditions which states 'contagious diseases - should Butlins become aware, or have reasonable grounds for suspicion, that a guest has contracted a contagious disease that has the potential to infect a large number of people quickly, they and there party will be required to leave he resort...' they would not listen to any reasoning or the reason why I believed she was sick and that if it was contagious must have contracted it on holiday as been there for 4 days. They would not get a GP involved either. We left the resort 3 days early and had to travel home much to the devastation of my children. Not a surprise that none of my family or myself has become sick and my daughter was well with 24 hours. On complaining they offered me additional activity vouchers when I next had a holiday with them but don't think that will be happening anytime soon. Make sure that you are aware of the consequences of a child or member of your party being sick and the assumptions made by guest services regarding any sickness. I am taking this further but thanks Butlins for ruining our holiday. Hotel tip: Luggage trolleys quickly disappear be prepared to walk distance to room unless pay additional for priority parking or staying in hotel. Food court dining and silver accommodation are basic. The chalets were very basic with everything you needed, and little extra. It did have a kettle with some tea and coffee. The beds were quite hard, but useable. The bathroom was okay, everything was clean and worked well. It was the half board option, and I was very disappointed with the food. Although there was a good choice, everything was of a low quality. There weren't very good veggy options. The breakfast was the same every morning, wasn't good quality and very limited veggy options with the hot food section. We have always booked into a static caravan at the Butlins site. the caravan park is at the back of Butlins near the lake and all the caravans have their own little space outside for the kids to play. The caravan we stayed in was fully kitted out with everything in the kitchen, it had two toilets and a very good shower. Our caravan was owned by Mr & Mrs Freeman www.caravanbutlins.co.uk who were very helpful and were always very nice when I had to ring them with questions. We had all the same access to the entertainment and rides as if we had booked through Butlins and having a caravan meant that we didn't have to endure our neighbours tramping up and down the stairs at stupid o'clock in the morning. I have to admit, it does make you feel a bit superior to the chalet dwellers! Stopped in Minehead Butlins around 17 years ago, and wasn't too impressed with the place then with the general outdated look of everything. Last year went with friends and was even more amazed by the general untidiness of everything - everything is just old, worn out and tatty. It would surely take a major makeover to improve that place. Truthfully speaking - a total dump. Although Minehead itself is a nice enough place. Where do i start with this place, most staff are eastern europeans with basic or little knowledge of english. Food was very dodgy, out of 14 of us who visited that week, roughly 6 of us became ill after the first day. silver plus room was basic. no remote for the tv, bathroom and shower were dirty on arrival. Entertainment was the only saving grace. there is quite alot to do for ages 3+. However we stuggled to keep our 15 month old entertained. prices for food and drinks were average. 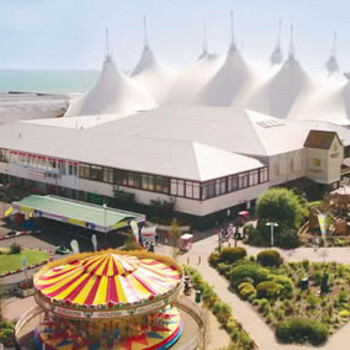 just returned from butlins in minehead. this is the second time we have been there this year so far due to some bargain deals. the 1st time we stayed silver half board. the rooms had recently been redecorated. we had a very nice 2 bed chalet. the food was good, plenty to choose from and eat as much as you like. the 2nd time we stayed in a gold 2 bedroom apartment. again the rooms had recently been refurbished and were to a excellent standard. we had a twin and a double bedroom with a kitchen/living room that was well equipped and a tv/dvd player. the grounds were slowly being upgraded and has started to look very nice. the entertainment was great for my 2yr old. she loved all the character shows during the day in the pavillion including, barney, bob the builder, pingu. the evening entertainment was good too. we watched the pantomine goldilocks, there was a cartoon network show, great for the kids. they also had the sooty show for the kids and a gunge show. i cannot comment on the entertainment that was on after these shows or the shows in the reds because i didn't see them due to the kids going to bed.